How To Warm Yourself After Camping In The Cold? Where to pitch the tent is the most vital decision when camping in cold weather for the trip. Your knowledgeable foresight may prompt you to pick a site enclosed by boulders, or trees to keep away wind. This is not a wise decision. You may fancy a clear sky where the sun will aid you in warming up. In case there is snow on the ground, dig up the place a couple of feet deep to build a barrier against breeze surge. The open vent in the tent is very important as perspiration due to a lot of layers covering you will create moisture leading to hypothermia. Air circulation will keep away condensation over the night, and there would be no dripping on you. Transition from day clothes to night clothing. Buy before coming. Warm the night clothes through exercise. Clothes should be comfortable. Ventilate your tent for air circulation. Invest in a functional tent. Bring water and carbs with you for energy requirement. Pack the correct type of gear after a survey of the market and discussion with experienced known people. Investigate the weather forecast through digital media. Carry your mobile and transistor. A word of caution is to not hold-on the layer-up until you begin to get cold. Thermals are useful and necessary. Do not enter the bed feeling cold. Insulate yourself for a good night sleep. A hot water bottle is a big help. Insulate the tent with carpet and rugs. Disposable heat packs are a wise decision. Cold weather camping does not result in the entire day experiencing the cold. With little precautions and knowledge, you can enjoy the snow and cold weather. Equip the previous night in warmth and enjoy the morning. Layout sleeping region early so that the sun warms it up. Included in your luggage should be foam pad for sleeping, a sleeping bag well equipped to withstand colder temperature. The tent should be so designed that ventilation is possible. This will keep away condensation. Synthetic fibers for clothing and tent will not retain moisture as doe’s cotton and get wet. Hog on extra calories and drink plenty of water so that the body makes more heat than usual and gets you to feel comfortable. The sleeping bag gets warm through your body, and you get heat from the bag. Before entering the tent, warm up your body through exercise. Ease yourself before entering the tent once warm you will find the act difficult. A warm water bottle on your feet will transmit heat to the whole body and preserve heat. However, do not cover the face inside the sleeping bag; your breath will moist the interior. Adorning a hat or scarf will be a wiser thing to do. This way you will be warm. The change of clothes including socks for the next day should be kept in the sleeping bag at night. When you change the next morning, they will be warm, and you will enjoy the warmth. Once up in the morning layer yourself as the temperature is low. Keep wearing the layered clothing until you get active. Eat full stomach breakfast in the morning. It could be a hot dish or liquid such as chocolate or oatmeal. Quick breakfast is a must as you sit and eat. Get active once over with breakfast. This way heat will be generated to keep you warm. If you feel, fit to remove some layers of the clothing. Get physically active for better blood circulation. If the resting period is prolonged, you will lose the more heat. Activity is the secret to keep warm. Moreover, a cool wind generates a freezing sensation. The outermost layer of clothing should be windproof. This includes waterproof pants and jackets. The wind touching the body flesh is remote. Warmth will be with you. Wear the boots once you step out. Keep the boots on through the day. Warm boots help in keeping the body warm. The cold of the ground will not transmit to the body and make you shiver. Below the boots wear warm socks. Preferred fiber for the socks is wool and merino blend; it will keep the sweat away. Avoid wearing cotton. Perspiration will make it wet and chances of its drying fast is not there. The fiber becomes heavy with moisture and chances are that body temperature will be lowered. Merino garments retain warmth. It soaks away the perspiration of the body and lowers body temperature. Adorn thin gloves inside mittens. Warm hands do not make you shiver. Test your clothing after purchase for they should not be restrictive. Confining clothing is uncomfortable; however, air pockets created by them keep you insulated. Too tight clothes negatively affect blood circulation. The extremities of the body get affected. After dinner, tucks yourself inside the bag without covering the head. Make sure midriff is not exposed while bending or stretching. Make sure you are cozy. If you desire maximal warmth, pick a jacket which has high fill weight along with fill power. Inspect the sleeping bag rating, this will give you a fair idea of how well it can insulate you. Have a trial run at home as testing. You can judge the warmth possibility when outside camping. One season sleeping bag is light and its warmth giving property is questionable. 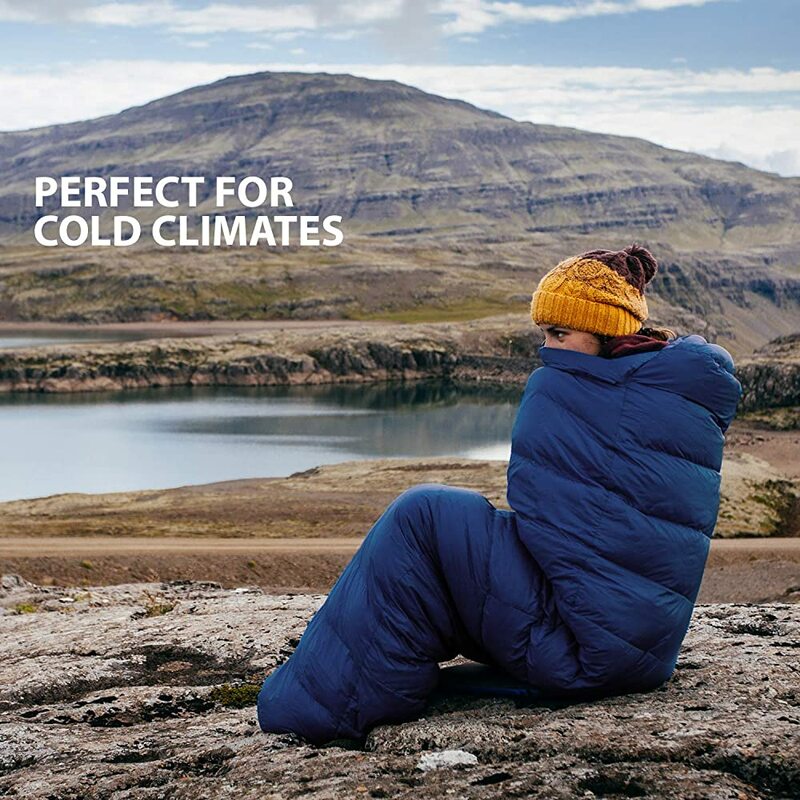 Pick up a sleeping bag that will last 3-4 seasons. It will be snug. The sleeping pad comes with R-value. The higher in number it is, the more effective it is in giving insulation. This pad is as vital as the sleeping pad. In the absence of a pad, the chill of the ground will be conveyed to the exposed body part as you lay down to sleep. It is very effective and necessary for snow ground. You can also use cell-foam mat along with it. Purchase a silk sleeping bag liner with insulator properties. Silk if wet is fast in drying. Thus, it can be washed with ease. It is difficult to wash a sleeping bag often. Make sure you do not make several layers in clothing when inside sleeping bag. It will make you sweat. A good sleeping bag will warm you quickly. You can drape extra layers over the sleeping bag. Choose to do so through blankets, jackets, and survival bags will do the job. Do not go to bed when being cold. The sleeping bag will then take time to warm you. Exercise and campfire proximity outside will warm you sufficiently. Raise your body temperature before retiring for the night. When you get up the next morning nice and warm and prepare to step out does not sit on the floor. The ground cold will chill your bones. Warm up fast in the morning after camping in the cold through our guidelines. The weather may suggest you need no water to drink. This is away from the truth. Stay hydrated even if you drink warm water. If you are dehydrated, you may get frostbite.